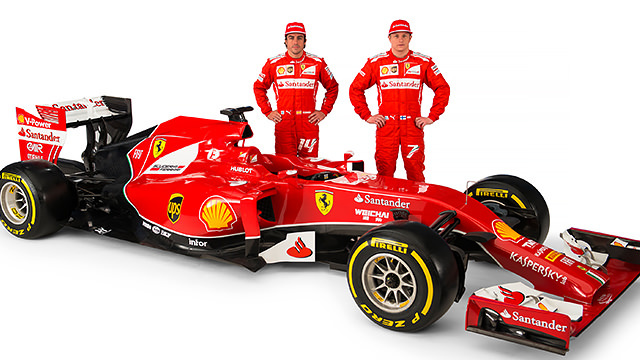 Ferrari launched their 2014 car today, in an online unveiling that showed off their take on the nose. Having seen McLaren’s single point, and Lotus with a double strut tuning fork style front, Ferrari have gone for a third option. Their nose dips down but remains wide, merging with the front wing and ending in an open duct at the very tip.